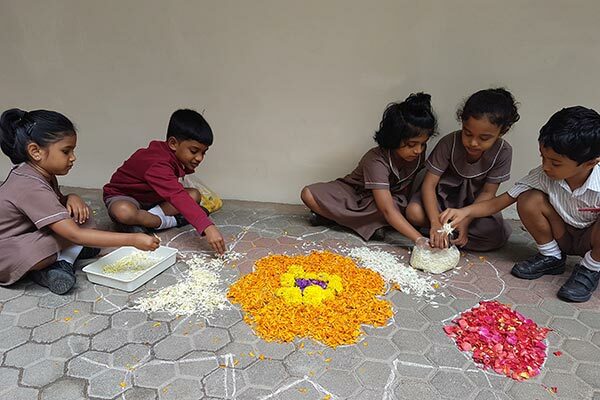 The kindergarten children brought flowers for the Onam celebration. 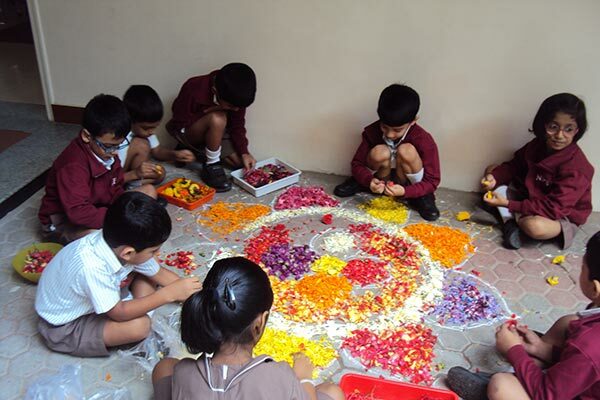 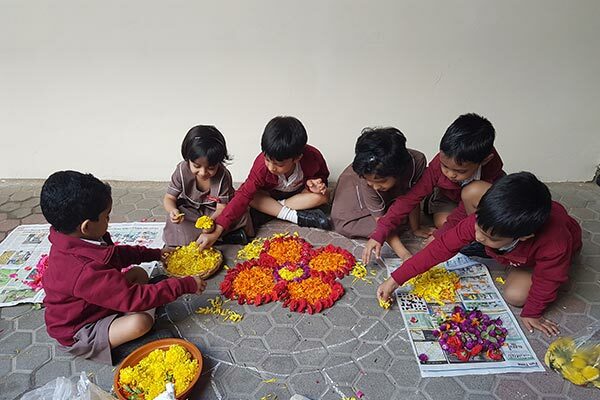 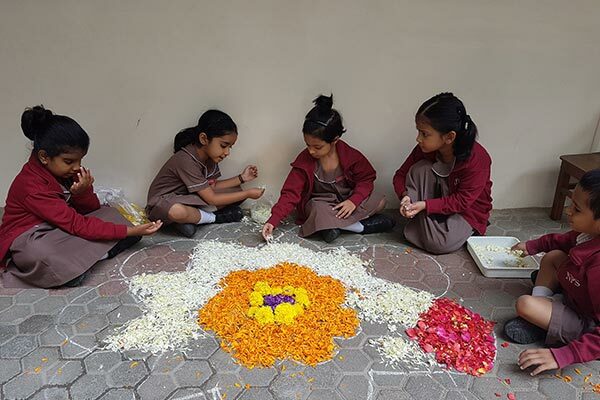 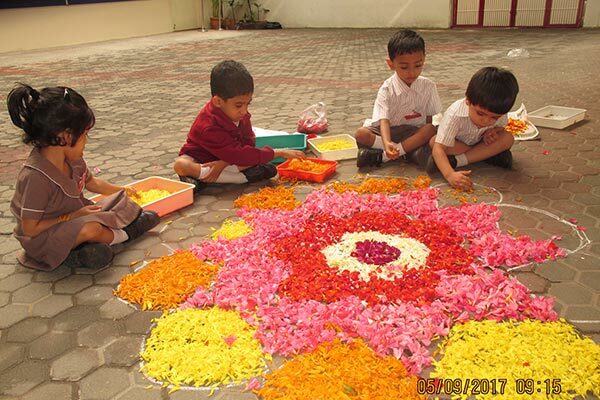 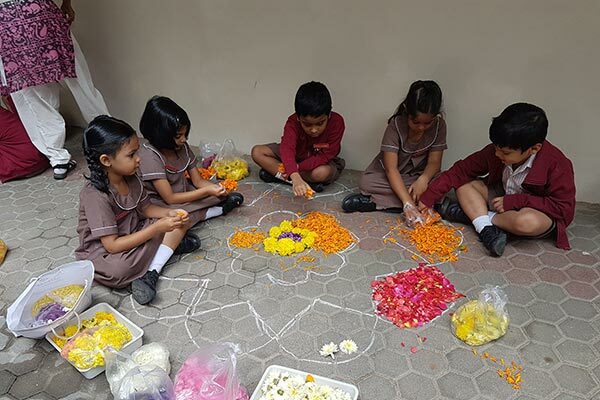 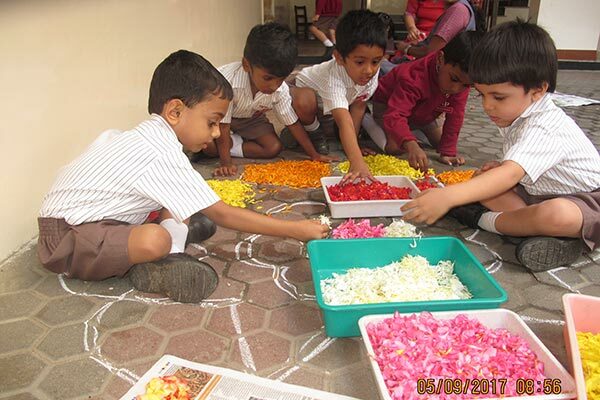 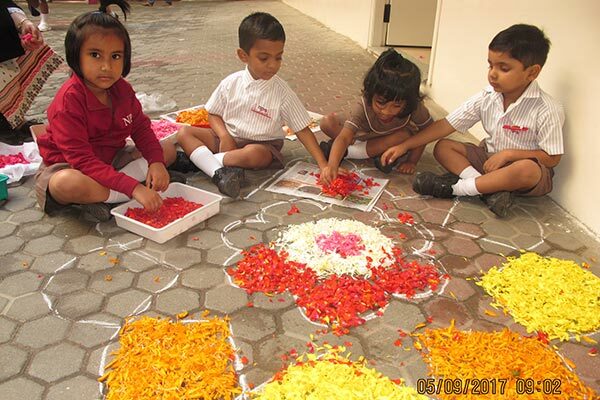 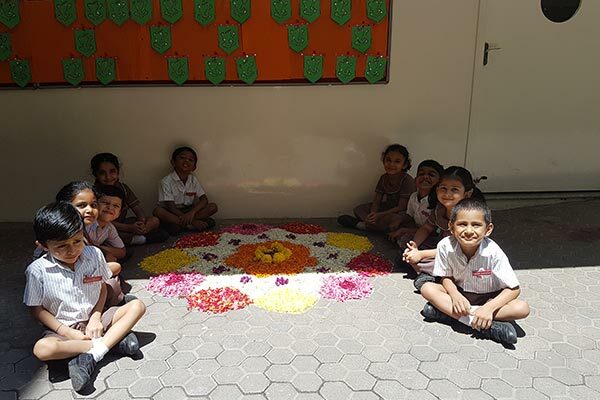 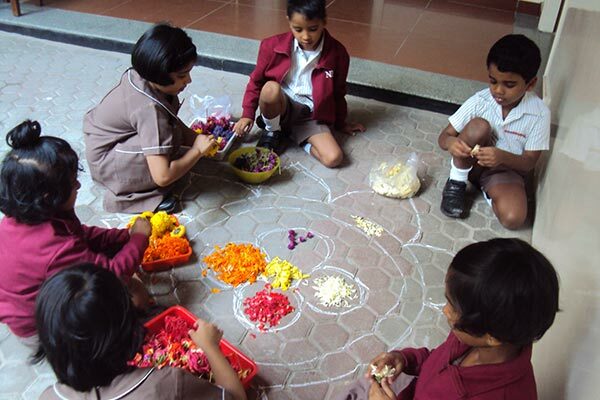 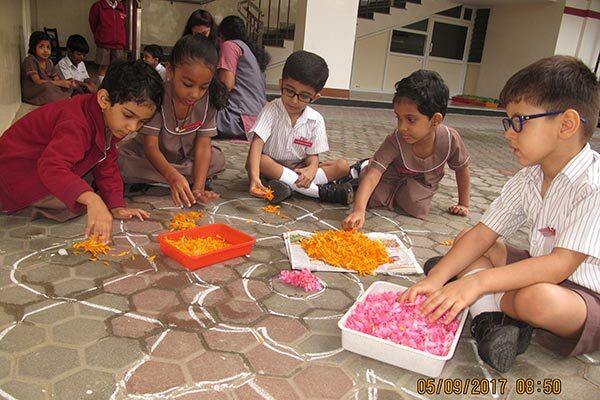 Each class made a pookalam outside their classrooms. 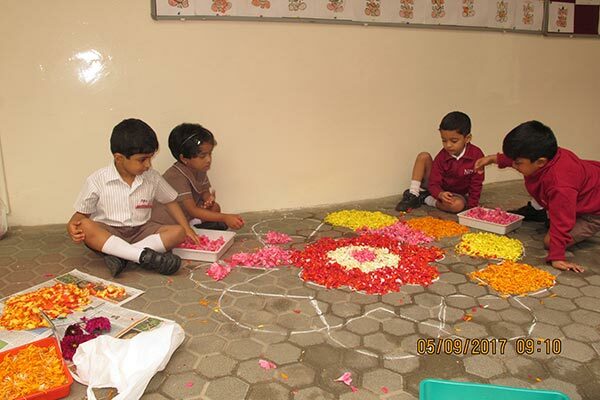 The teachers informed the children that Onam is celebrated by the people of Kerala and explained to them how it is celebrated. 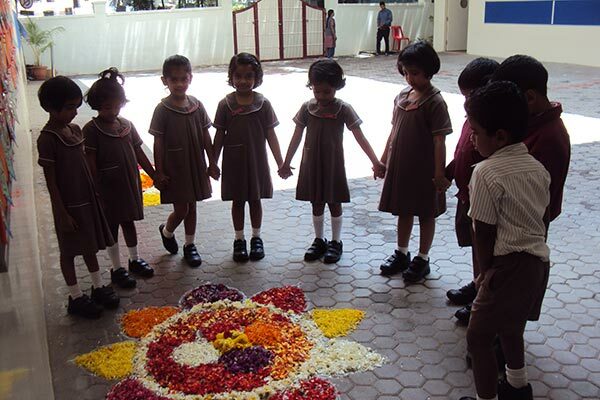 Few children who celebrated Onam came forward to share their experiences.